Free download - programs for Windows AOMEI Backupper, ZC DVD Audio Ripper, Tunngle, ZC Video Converter, PDFMate Free PDF Merger, Drivers For Free, LogMeIn Hamachi, Movie DVD Maker, DVD Burning Xpress, CodecInstaller Free download! 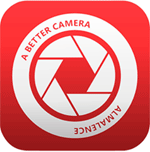 »» Free download AOMEI Backupper! AOMEI Backupper ::: a computer program that allows users perform backups. AOMEI Backupper is very useful for protecting against data loss. Using AOMEI Backupper you can back up your system or the entire hard drive. »» Free download ZC DVD Audio Ripper! ZC DVD Audio Ripper ::: a computer program that enables users to extract audio tracks from video DVDs. ZC DVD Audio Ripper allows the extraction of audio and convert it into the following formats: MP3, WMA, WAV, MP2, AC3, M4A, AAC, Sun AU, AMR. ZC DVD Audio Ripper is mainly used to convert the background music of the movies for mobile devices. Tunngle ::: a computer game that allows users to connect to a virtual private network (VPN) P2P. Tunngle is an application specially designed for the fans of network games. Using Tunngle, you can play multiplayer games online with friends, as you would on a local network. 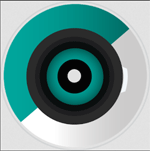 »» Free download ZC Video Converter! ZC Video Converter ::: a computer program that enables users to convert video. ZC Video Converter can convert between most popular video formats, is mainly used to convert video to mobile devices. With ZC Video Converter can also join video files or split video files. »» Free download PDFMate Free PDF Merger! PDFMate Free PDF Merger ::: a computer program that allows users to merge PDF documents. Using PDFMate Free PDF Merger, you can join, merge or split PDF documents. The PDFMate Free PDF Merger program also allows the conversion of photos into PDF documents. »» Free download LogMeIn Hamachi! LogMeIn Hamachi ::: a computer program that allows users to create virtual private networks. Using Hamachi, you can create a private connection between a computer with another computer or multiple computers, as in a local network. Hamachi software enables the creation of a new network or connect to an existing network. »» Free download Movie DVD Maker! Movie DVD Maker ::: a computer program that allows users to record movies on DVD. Using Movie DVD Maker, you can create video DVDs using videos or movies in various formats. Movie DVD Maker supports the majority of video and audio formats. »» Free download DVD Burning Xpress! DVD Burning Xpress ::: a computer program that allows users to record video onto CDs and DVDs. Using DVD Burning Xpress, you can also edit the video before burning onto discs. Another interesting feature offered by DVD Burning Xpress, is that it allows users to capture video from video sources. CodecInstaller ::: a computer program that allows users to install the audio and video codecs. Using CodecInstaller, you can play any video and audio file. CodecInstaller, can analyzes your computer and detect all the codecs installed, showing a list of them.